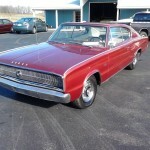 Dodge introduced the new Charger to the world during the January 1, 1966 Rose Bowl as the “Leader of the Dodge Rebellion”. 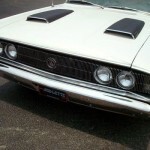 The Charger was one Chrysler Corporation’s first steps into the specialty car market. 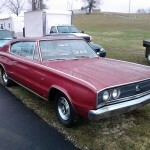 In step with the position of Dodge in the Chrylser organization chart as a mid-level make, the new Charger was to be the middleman between a pony car, which was left to Plymouth, and a personal luxury car, which was left for Chrylser. To create the mid-level coupe, Dodge used the B-body foundation and added touches of a sports car and a luxury car. The Charger used the existing Chrysler B-baody, but was available only as a fastback coupe. 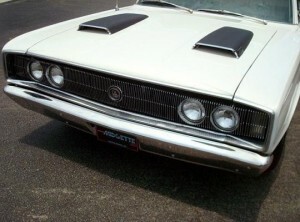 The front end had an “electric shaver” grille. 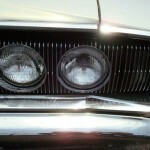 The grille featured fully rotating headlights that when opened or closed made the grille look like one-piece unit. The rear of the had a full-width six-lamp taillight that featured chromed “CHARGER” lettering. 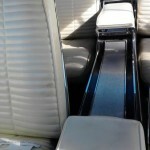 The interior of the standard Charger featured a simulated wood-grain steering wheel, four individual bucket seats with a full length console from front to rear. The rear seats folded forward while the trunk divider dropped back to allow for full-length cargo room. Special features on the Charger included special door panels, courtesy lights, premium trim and vinyl upholstery. The instrument panel used electroluminescence lighting instead of conventional bulbs for the dash pods, needles, radio, shifter-position indicator, clock and Air Conditioning controls if equipped. 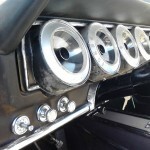 The dash instruments included a 0 to 6000 rpm tachometer, a 0 to 150 mph speedometer, and alternator, fuel, and temperature gauges as standard equipment. The base model charger came with a 318 cubic inch 2-barrel V8, optional engines included a 361 cubic inch 2-barrel and a 383 cubic inch 4-barrel. Halfway into the model year a new 426 cubic inch Chrysler Hemi was introduced. Transmission choices included a three-speed steering-wheel mounted manual with the base engine, a console mounted four-speed manual or three-speed automatic for the other models. Dodge took the Charger into NASCAR, but the car was slippery on the faster tracks due to its the body generated lift. To solve the problem, Dodge installed a small lip spoiler on the trunk lid which improved traction at speeds above 150 mph. 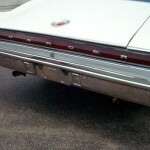 The spoiler was also made a dealer-installed option in late 1966. The 1966 Charger was the first U.S. production vehicle to offer a spoiler. 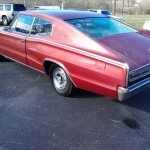 The 1967 Charger received minor changes. Changes to the body, included new fender mounted turn signals and a vinyl roof was added to the option list. Inside, the full-length console was replaced with a regular sized front seat console. A new front seat option was available with a folding center armrest-seat and column shifter to accommodate three people to sit up front. 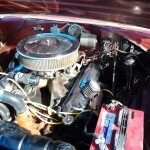 The 440 cubic engine “Magnum” engine was added to the option list and the 361 cubic inch V8 was replaced by a 383 cubic inch engine. The 318 cubic inch base engine now featured wedge-shaped combustion chambers instead of the previous years polyspherical design. 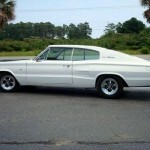 A new Charger would be introduced in 1968. 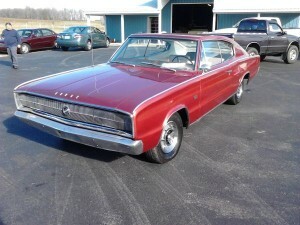 To read about that car, see our post on the 1968-1969 Dodge Charger. 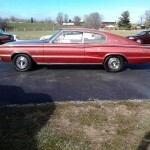 For other Dodge vehicles, see our post on the 1970-1974 Dodge Challenger or the Dodge Dart. 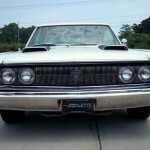 This entry was posted in Charger, Dodge and tagged B Body, Coronet, Muscle Car, mustang, Pony Car. Bookmark the permalink.